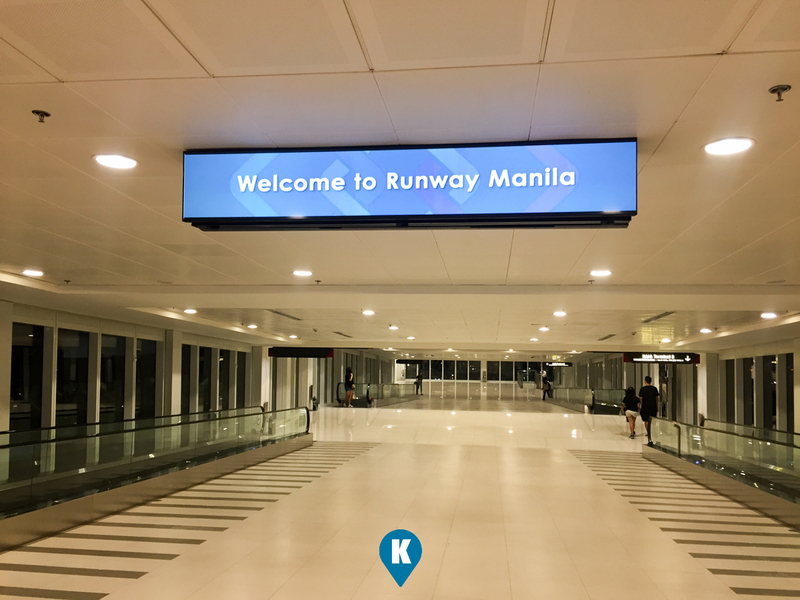 Welcome to Manila. When you arrived at Terminal 3 of the Ninoy Aquino International Airport, and you're booked in Newport City, then you don't need to take a taxi. 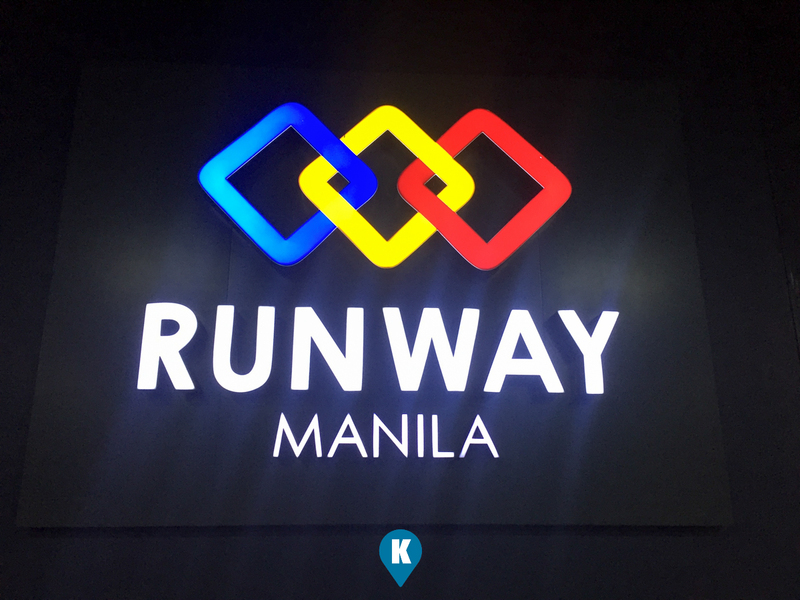 Simply take the scenic and cold passageway in Runway Manila. A government or private project worth Php1.5 Billion, imagine a bridgeway costing this much, its less than a kilometer and it is I feel the most expensive pedestrian overpass ever constructed. Usually when companies do such projects, they let you pay for its use, but surprisingly, traversing this walkway to Newport City is free. Wow. Now what makes this passageway worth the price tag? Its spacious, its got elevators and walkalators (is this the correct term? ), its got a huge LED screen, and it has a great AC (airconditioning). I think the amount is well spent for the comfort for our locals and tourists alike. Opened just last year, I usually am a negative thinking individual, I was assuming that this passageway would NOT be properly maintained. Like other government/private projects, this would fall into disrepair since this passageway is free to the public. Oh how wrong I am to assume this. After a year in operations, we found this one still sparkling clean. 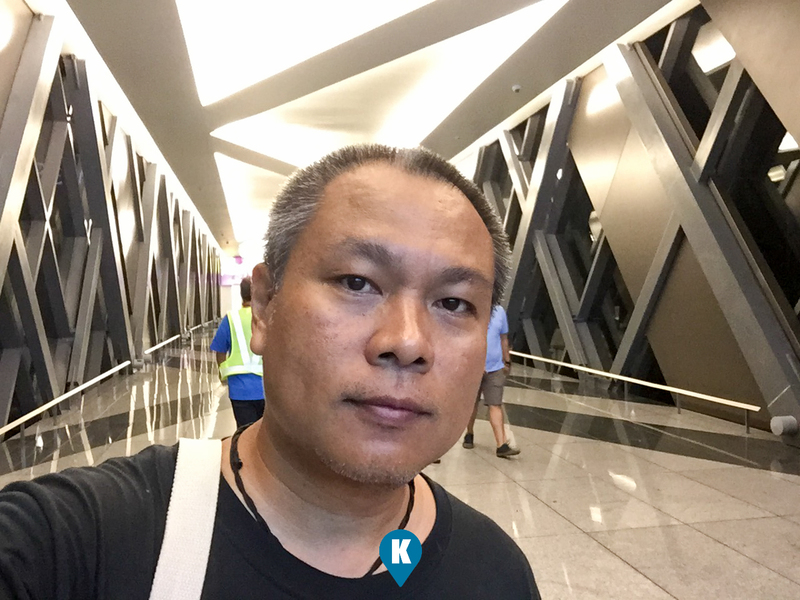 All lights are operational, the aircon is still cold and comfortable, the all elevators and walkalators are all functioning and the floors are shining and clean (you can eat off the floor kind of clean). Since I was picking up my daughter from her trip to Davao, I deemed it wise to come early to evade the friday traffic. True enough I arrived in Resorts World Manila with less traffic and I stayed there until it was time. Walking through Newport City is always a welcome respite from my stressful schedule. 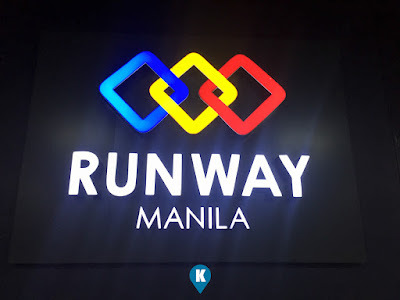 To find the start of the Runway Manila, simply walk to Belmont Hotel and pass through the side of Starbucks (the largest I've seen). You will be greeted with the large sign so you won't miss it. Going in, you will be passing through the first security gate. Its an X-ray machine with a metal detector. 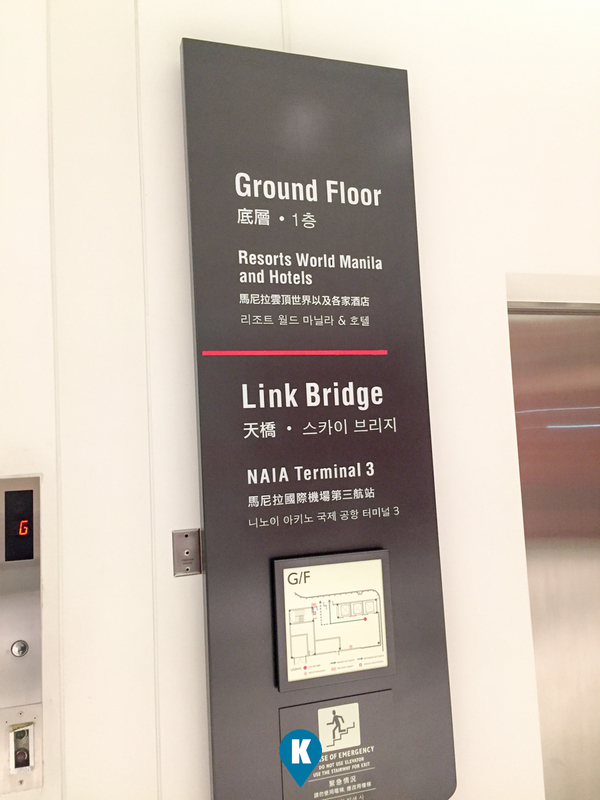 Pass through this, you will have to go 5 levels up through a choice of 3 wide elevators. These connect you to the passageway and you will get a great view of Andrews Avenue and the new Tollways. Turning at the end, you will be met with 4 walkalators two in each side. Its a short one so I was wondering why they even bother installing them at this juncture. At the end of these two, turn left then theres another short walkalator (im scratching my head again). 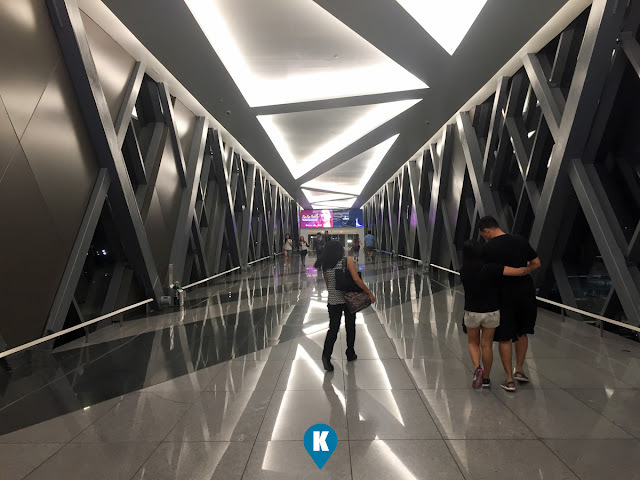 You will be met again with another security checkpoint or chokepoint with the usual x-ray machine and metal detector. Clean passageway, comfortable walkway, secured facility, this passageway is a plus for our tourists if they are booked in Newport City. They will not be experiencing our worse traffic, the advantage taking taxi drivers and the confusing red tape if they use Runway Manila. 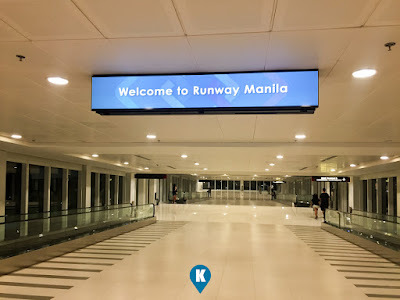 The tourist will have a great first impression of Manila don't forget about this.